Something Delightful : Perfect Pillow Case For The Precious Sorority Girl! Perfect Pillow Case For The Precious Sorority Girl! After coming back from a long but amazing weekend of rush, I have one thing on my mind, and that is how much I love and appreciate my sorority! Every single one of my sisters are precious to me, and I'm so excited for the new sisters we recruited. I came across these adorable Greek pillow cases a few nights ago. After this fun weekend of Rush, I want to purchase one so very badly! Isn't it just precious!! 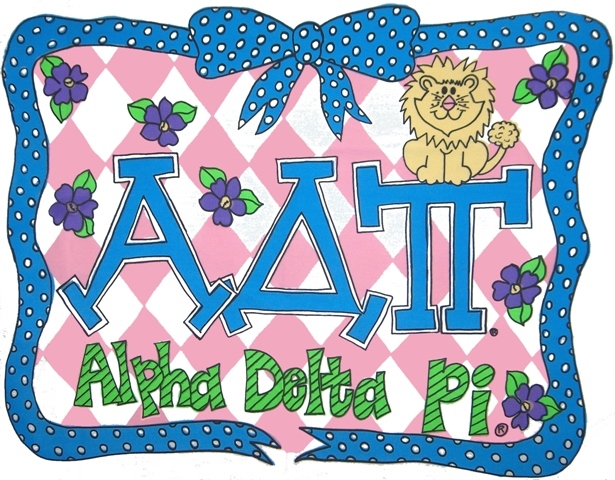 Check out The Polkadot Alley to find the pillow case in your letters! This store has so many cute gifts available to purchase. Congrats to all the new sisters of the Zeta Zeta chapter of Alpha Delta Pi! Congrats on a successful rush! It makes me miss being a co-ed very much. Those were some of the best days, soak up every minute of it.